WE HERE AT KARAOKE PRO HAVE TAKEN THE BEST OF ALL WORLDS OF COMPUTER PROGRAMMING IN BOTH THE DJ & KJ WORLD. WE TURNED THE ENTERTAINMENT BUSINESS INTO SOMETHING THAT ANYONE CAN DO TO THE FULLEST EXTENT. THE SKY IS THE LIMIT WITH OUR BRAND NEW KJBASIC SOFTWARE. KJBASIC HAS ALL THE FEATURES YOU WILL NEED AND MORE WHILE MAKING IT EASY FOR YOU TO UNDERSTAND. THANKS TO OUR TECHNICIANS EVERYONE HAS JUST BECOME A DJ!!!!!!! Karaoke Laptop Designed for Karaoke and DJ Gigs. 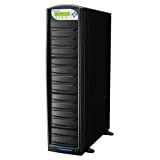 Massive 1 Terra Byte Hard Drive, Powerful QUAD Core Processing, Supports Dual Video Displays, and includes Karaoke Software and DJ Software. You will be getting a pair of Yamaha's best powered 10" speakers that will blow away any competition and the roof off the building. 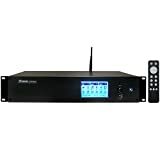 Perfect clarity in music and voice with enough power to do outside events as well! Dual wireless microphones with great sound and plenty of range. This is a karaoke and DJ system. Great for tailgating, car shows, or even music at your restaurant. Why waste monthly subscriptions for music when you got it all here! This system pays for its self within months and is super high quality. 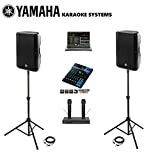 Look no further than Yamaha sound for your karaoke and music needs! Pair of Powered Yamaha DBR10 1000 Watt speakers! Yamaha MG10XU Mixer! Brand new laptop with all karaoke and DJ software needed! 1000 OF THE HOTTEST KARAOKE SONGS ON THE MARKET INCLUDED! 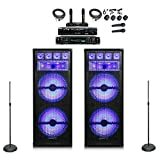 Dual Professional Karaoke Wireless Microphones! 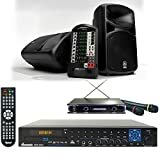 Best Mixing board for Karaoke on the market! Turn key system, easy to set up, lifetime tech support and full warranty on ALL equipment!